CDCI has comprehensive models for undertaking public debt management including debt restructuring. We have developed adequate tools to advise our clients on various debt management methods including debt swap, debt forgiveness, and debt restructuring. In addition, we have developed an in-house financial restructuring model which is able to give us the state of affairs of a state corporation and the most optimal method of debt management which could be adopted. We have also developed public finance models for assisting governments in budgeting and monitoring of expenditure. CDCI’s advisory on HRM is always geared towards productivity improvement by ensuring that the organisation structure and staffing are all aligned to the organizational goals. The job analysis, job description, job evaluation and grading are all developed from well thought out key performance areas of each position which are in turn developed in line with the goals of the organisation. Based on the key performance areas for each position in the organisation we develop job profiles which dictate the likely profile of the person to fill the position for maximum productivity. Our recruitment is thereafter based on our recruitment modelled system which ensures us that we get the person to feel the job whose profile is as near as possible to the job profile. 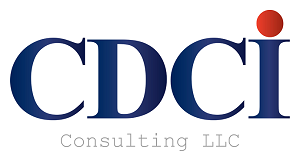 Furthermore, CDCI has in-house systems for job evaluation in which we also use for the preparation of job evaluation manual for use by our clients. For many years, we have been developing business strategic plans for a wide variety of local and international clients. We now have a range of business plans which cuts through various sectors including the agriculture, tourism, manufacturing, trade and public sectors covering various government ministries and departments. Our models for the business strategic planning are simple and inclusive. We apply our financial and economic models to do the necessary financial analysis and market assessment. We involve our clients in the whole process of business strategic planning in development of the appropriate mission, vision and values. Our model ensures that a complete SWOT analysis is undertaken for all-inclusive strategies. CDCI’s key strength in our advisory role to our clients is on capacity building that involves strengthening systems and training of staff. In all the assignments we undertake, we incorporate a capacity building component to ensure that the proposed systems changes arising from our advisory services are implemented and that the staff are trained on the new systems. We develop training materials, training programmes and training manuals which are all done to the needs of our clients. In addition we facilitate the training based on both formal training and on job training.